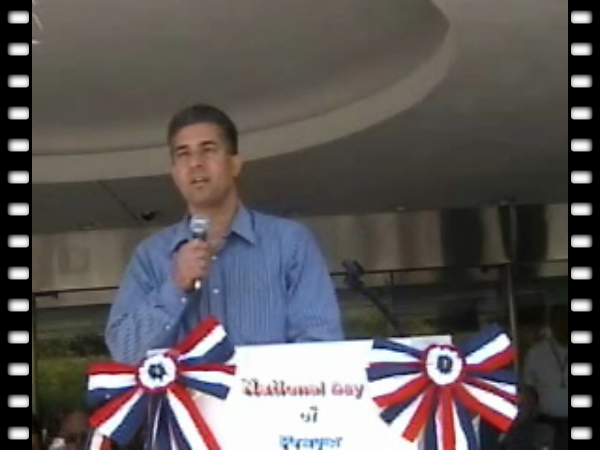 The conservative power structure in Fresno attempted to have a “Christian Only” prayer service at City Hall as a part of the National Day of Prayer. Their exclusionary event was thwarted when members of the Interfaith Alliance of Central California showed up holding signs saying One Nation/Many Faiths. See and hear what the mayor, city manager, police chief, and Kamal Abu-Shamsieh of the Islamic Cultural Center had to say in the videos below. 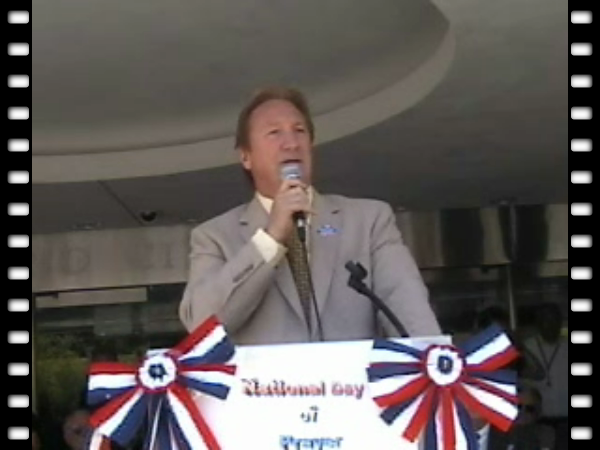 Speaking in front of Fresno City Hall, mayor Alan Autry said “I believe the separation of church and state is good, but as mayor I can not leave office without saying once again that separation of God from state is nothing less than disastrous.” He was speaking at the National Day of Prayer event held on May 1, 2008. Members of the Interfaith Alliance of Central California were there to counter what they said was a “Christian Only service on the steps of Fresno City Hall.” A group of 30 - 40 Interfaith Alliance members holding signs that said “One Nation/Many Faiths” attended the event. Autry was aware of the controversy and near the end of his talk, invited members of other faiths to come forward to speak. Kamal Abu-Shamsieh, director of the Islamic Cultural Center of Fresno came forward and spoke. For information about the Interfaith Alliance call Rev. Bryan Jessup (559-322-6146) or Rev. Natalie Chamberlain (559-227-2050), Co-Chairs.